Is Zanzibar your next escape? Here are five splendid to-do activities that you should add to your travel itinerary! 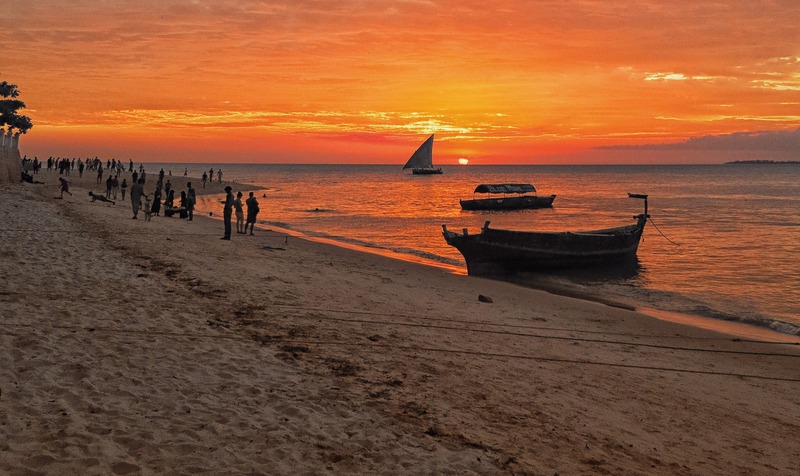 Located in the Indian Ocean just 15 miles off the coast of Tanzania, Zanzibar is an exquisite East African gem. The Zanzibar Archipelago consists of many small islands and two larger ones. It is a semi-autonomous part of Tanzania, with its capital located on the island of Unguja. There is much to see and do in Zanzibar, whether you are looking for an adventure, a touch history or just pure relaxation. Zanzibar’s scenic landscape is second to none and is home to unique wildlife found nowhere else in the world. True to its name, Prison Island is a former prison for slaves and a quarantine station for Zanzibar. Strategically located just off the Old Stone Town, Prison Island offers more than its notorious history. It is also home to giant land tortoises known as the Giant Aldabra Tortoise. These large creatures were previous imported from the island of Seychelles in the 19th century and have made Prison Island their home ever since. Giant Aldabra Tortoises are herbivorous and can live for up to two centuries eating grass, leaves and woody plant stems. Take the opportunity to feed and pet these gentle giants when you take a stroll along Prison Island. Zanzibar is also home to some of the world’s most endangered animals including the red colobus monkey and the servaline genet. 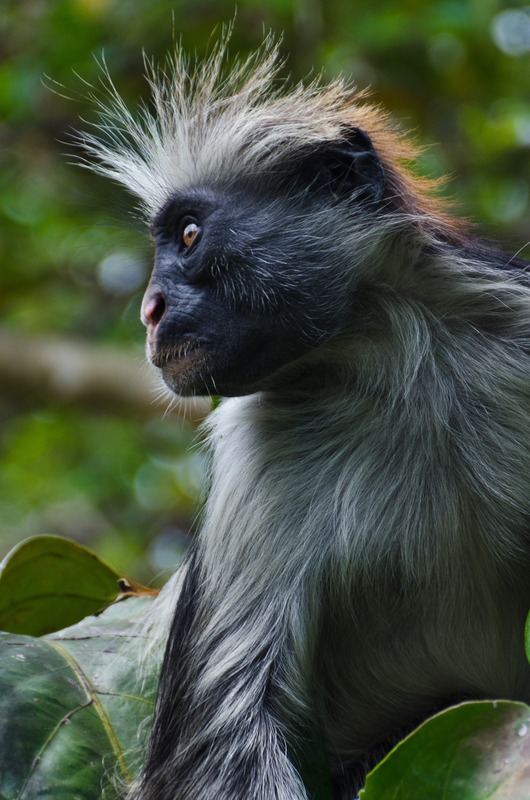 The Zanzibar red colobus monkey can be found on some islands of the archipelago including the larger island of Unguja. Like most primates, they are a social species living in troops between 15 to 30 animals. The Zanzibar red colobus are the most endangered monkeys in Africa, with a population estimate of between 2 000 to 3 000 individuals. Another endangered species found in Zanzibar is the Zanzibar servaline genet. This subspecies of the servaline genet was only recently discovered and named in 1995. Live Zanzibar servaline genets were first photographed in 2003, allowing for new information about the genet to be documented. As of yet, its conservation status is still unknown. Both these endangered species can be found at the Jozani Chawka National Bay Park on Unguja Island. Due to its close proximity to mainland Tanzania, travellers usually combine a Tanzania and Zanzibar safari trip to be able to catch a glimpse of these small animals in the wild! Zanzibar is renowned for its powdery white beaches and protective barrier reef that lines its eastern coast. There are many beaches to explore, but Nungwi and Kendwa beaches are the most popular choices among locals and tourists. Nungwi Beach is located north of the island and is unique because it doesn’t experience significant low tides, allowing swimmers to swim all day without having to chase the waves all the way out into the ocean. Another popular beach is Kendwa Beach, located south of Nungwi. Kendwa is Nungwi’s quieter counterpart, boasting a smaller crowd and a more relaxed atmosphere. Kendwa is the perfect place to sit back and perhaps enjoy a relaxing dose of yoga or even an exhilarating surf experience while you watch the sun set. Island life comes with a scrumptious selection of fresh seafood and you can indulge in at the Forodhani market. This marvellous nighttime food market opens to hungry foodies in the late afternoon, with row after row of grills filled with fish, prawn, lobster, crab and squid. This is street food at its best – inexpensive and delicious! But, as with all street food, do exercise caution and choose only the freshest ingredients, and pay attention to the chef who is preparing and handling your food to ensure good hygiene. It is almost unthinkable to leave the Spice Island without going on a spice tour. In the 19th century, Zanzibar was known as one of the world’s leading producers of a variety of spices including nutmeg, cinnamon and clove. Initially introduced by Portuguese traders to the island in the 16th century, Zanzibar still produces high-quality spices that are exported internationally. On your spice tour, you will see how spices are cultivated, experience firsthand their smell and taste and get the opportunity to buy some locally grown spice. The vibrant colours are a visual feast and may even inspire you to cook up a storm in the kitchen. Inspired to make a trip to Zanzibar? Why not pay Tanzania a visit, too, for a classic safari in Tanzania? It’s sure to be worth your while! Previous articleValbonne Villa, The Hidden Lowveld Gem!